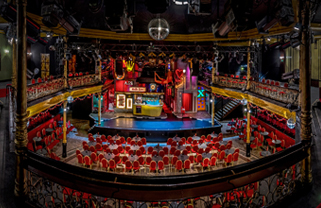 A lot of theatre Musical Highlight “Heiße Ecke”, Mitternachtsshow, comedy guest performance or “CAVEMAN”: Book your favorite production (German language) in Schmidt Theater or Schmidts TIVOLI! Our heartwarming pieces guarantee an unforgettable and well-tempered evening in a relaxed atmosphere. Would you like some more? 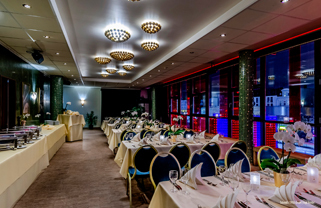 From a delicious snack to a set theatre menu: our in-house restaurants serve the culinary base for your theatre experience. 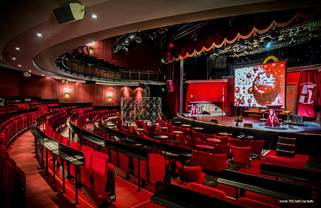 Have an aperitif or nightcap in our bars or enjoy finest cocktails by exquisite live music in Angie’s Nightclub and make your visit to our theatres a perfect evening. Well, I’ll have it all! 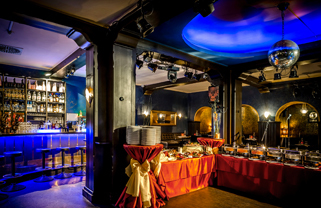 Our all-in package: Present yourself as a host and invite your guests to our unique and breathtaking atmosphere. Due to their very special infrastructure, our locations become an ideal place for celebrations, product presentations, incentives, business meetings and more.